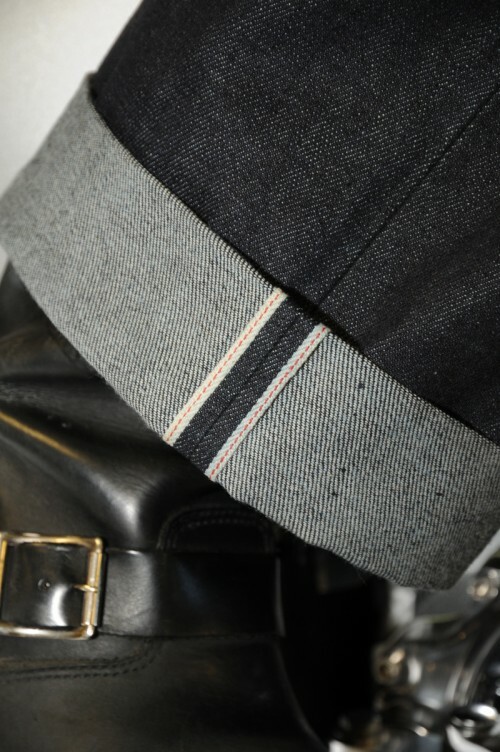 Well, people asked me about some of the Apparel I wear and of course, I have always been into the Old style Brando image, 501 style of cuffed denim has always been a cool look, and I decided it was time to come up with a cool set of threads for everyday wear. 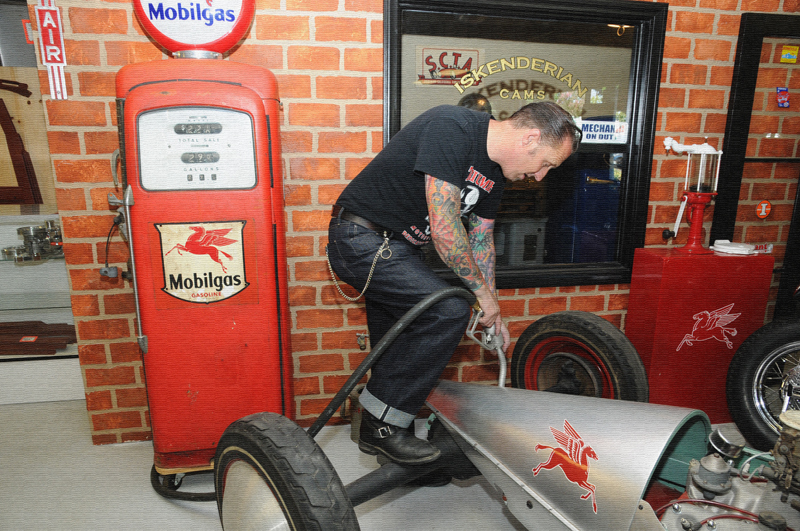 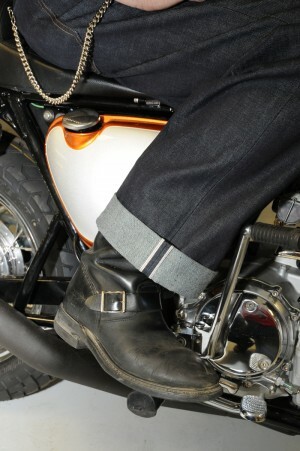 These Nostalgia Jeans are Rugged, yet comfortable and have all the traits of a Vintage jean, as I have used Vintage material, and to make sure these are bang on- I even have a cool selvidge line running on the Cuff, as the 40’s and 50’s jeans had. 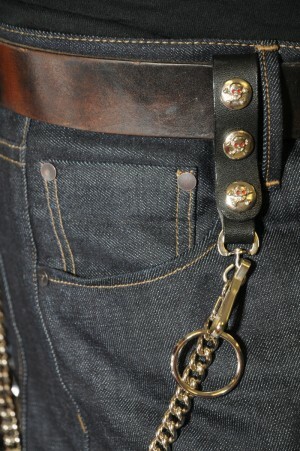 These have belt loops and maybe a cinch back buckle too for that added look of yesteryear. 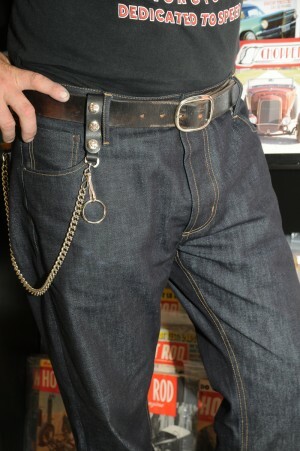 Strong twine gold stitching gives it that Big E style of Levi look, and these are riveted as well to keep the same look as the Original Denim I used to love wearing. 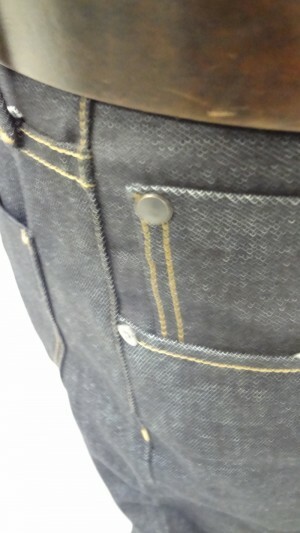 Button fly keep the Vintage style there and I have to say, even the pockets feel right and I have test run my own pair and give them the big thumbs up. 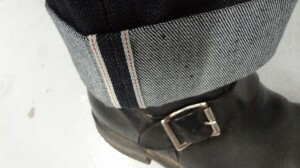 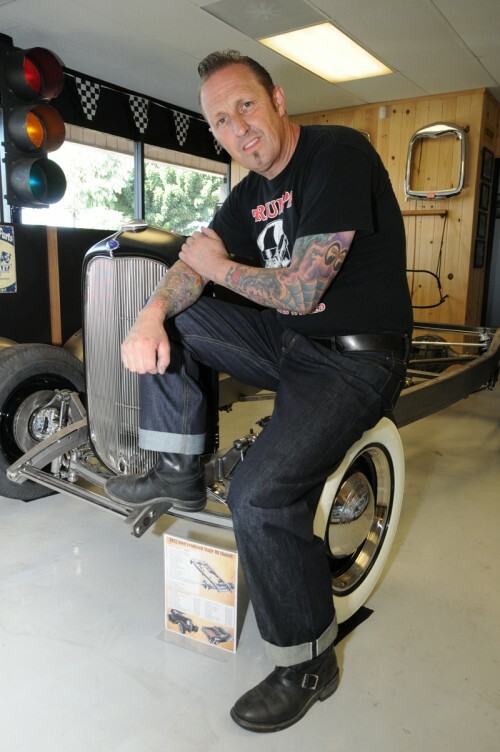 I have had many enquiries on these jeans, I am now going into production and as you will see, these are a really cool and Original looking pair of Old style Cuffed jeans, you do not have to roll the cuff if you don’t wish too, but that’s how I like these and many others do and hope you get a kick out of this style too. 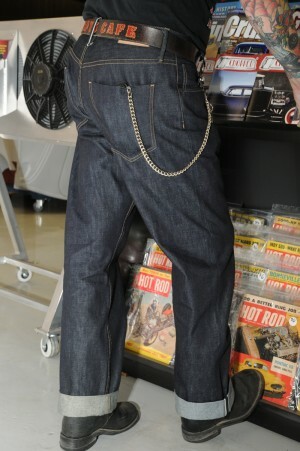 If you are looking for a Brando style jean? 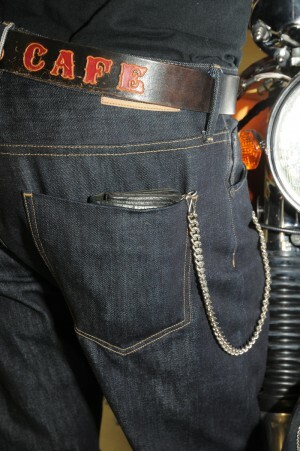 Look no further as these are Hand made and YES- Made in the USA in L.A.